Raise a glass to the sweetest gift around! 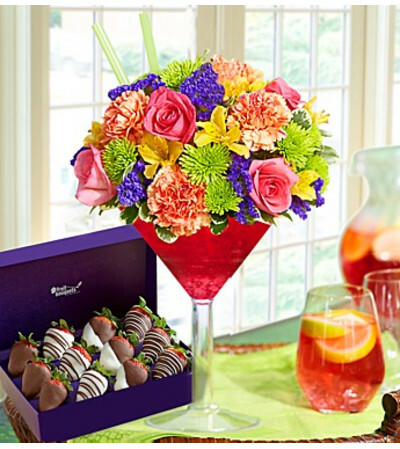 Lush, ripe strawberries, dipped and decorated to perfection, are paired with a kaleidoscope of roses, carnations and more in a chic martini glass. Succulent hand-dipped strawberries decorated with delicious Fannie May® white and milk chocolaty confection. 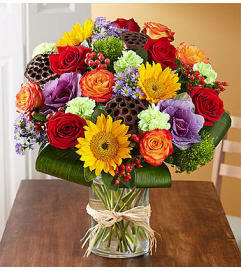 Paired with a vibrant arrangement of roses, carnations, alstroemeria, poms, statice and variegated pittosporum.